There is always something on the go in town. Learn more about what’s new and exciting in the resort. The changes create the first three-gondola connection in the world, allowing guests to upload, connect between the mountains via the PEAK 2 PEAK Gondola and download in a gondola for a weather-protected experience. 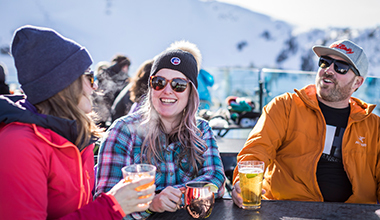 The new Blackcomb Gondola is also be adjacent to the Rendezvous Lodge, allowing skiers and non-skiers to enjoy a fully-enclosed ride up or down the mountain year-round, with direct access to Christine's Restaurant. Running from the Upper Village to the Rendezvous Lodge on Blackcomb Mountain, the new Blackcomb Gondola rises 3.86 kilometres from bottom to top. This 10-person Doppelmayr lift carries 184 cabins and transports 4,000 people per hour. Primarily manufactured in Saint-Jérôme, Quebec, its mid-station loads 200 metres below the mid-point of the Wizard and Solar Chairs it replaces. When combined with a ride on the PEAK 2 PEAK and Village gondolas, it completes a continuous lift system of a 13.5-kilometre loop from the bottom of Whistler Mountain, across the valley between both mountains, and down Blackcomb Mountain – a true feat of engineering. Read more about the Blackcomb Gondola in The Whistler Insider's Inspiring Mountain Innovations on a World Scale. The acquisition of Whistler Blackcomb by Vail Resorts Inc. is good news for skiers and snowboarders around the world. Epic Pass holders receive unlimited, unrestricted access to the slopes at Whistler Blackcomb, as well as these additional resorts: Vail, Beaver Creek, Breckenridge, Keystone, Park City, Heavenly, Northstar, Kirkwood, Stowe, Okemo, Mount Sunapee, Crested Butte, Stevens Pass, Wilmot, Afton Alps, Mount Brighton, Perisher (2020 access), Falls Creek and Hotham - Australia* (pending closing and approvals). Additional Access: New! Now includes limited access to Sun Valley, Snowbasin, and Rusutsu, Japan. 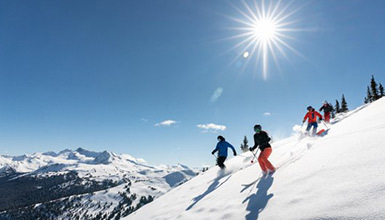 Includes access to Fernie Alpine Resort, Kicking Horse Mountain Resort, Kimberley Alpine Resort, Nakiska, Mont Sainte Anne, and Stoneham; 29 European resorts across Austria, France, Italy, and Switzerland; Hakuba Valley, Japan; Telluride Ski Resort, Colorado. New Epic SchoolKids Whistler Blackcomb Pack provides five days of free skiing for Canadian and Washington kindergartners through to grade five students. Also available: Whistler Blackcomb Unlimited Season Pass, 10-day, 5-day and 2-day Whistler Blackcomb EDGE Cards. 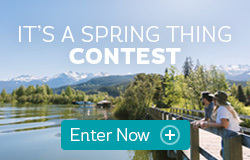 Call Whistler Blackcomb Guest Services at 1.800.766.0449 for more information. 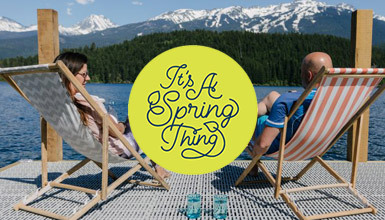 Your guide to what’s up, what’s new, and what’s on in Whistler this month.